Tired of taking up useful space on your pedalboard with tuning pedals? Looking for a way to tune your guitar wherever you are? Clip on tuners are a great alternative to the traditional tuner stompboxes of old. They allow you to save precious space on your pedalboards and enable you to tune on the go. If you are a gigging musician clip on tuners are an awesome way to make sure your guitar is in tune before you hit the stage. Plus these tuning pedals make an amazing gift idea for the musicians in your life because they are super cheap! This tuner is a great cheap option. Solid battery life with a larger and very readable screen. Great for tuning in dimly lit spaces. It does stick out a bit more on the guitar neck than some of the other tuners on this list. If aesthetics aren’t a big deal to you this is a great option. For a more premium option be sure to check out the PolyTune Clip. 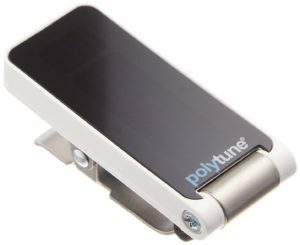 PolyTune has already made a name for themselves in the world of pedal tuners and this clip-on tuner is no exception. 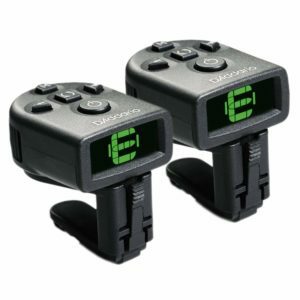 These tuners are reliable and have advanced features like strum tuning. Just strum all the strings and you’ll get a quick glance at which strings need tuning. This is a feature you won’t find in other tuning pedals and certainly not in a clip-on tuner. Awesome! Overall this is my favorite clip-on tuner and you’ll find one on most of the instruments I own. These tuners fit well on the inside of the guitar neck so to the outside world it is not visible. I also find this style of clip on tuner easier to use because you don’t need to flip out the tuner when you need to use it. It’s just there ready to go when you need it. These tuners find the perfect balance between cost, reliability, and features. The screen is easy-to-use and awesome for tuning on stage. Just roll off your volume not and switch on the tuner and you are ready to go. 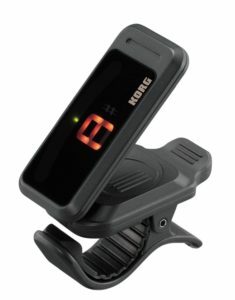 This tuner works great on electric guitars, bass, acoustic guitars, and ukulele’s. With the link the below you can get a two pack at a discount, this is the price of one regular clip-on tuner. This tuner even works as a metronome as well! There you have it my recommendations for the best clip-on tuners out there. 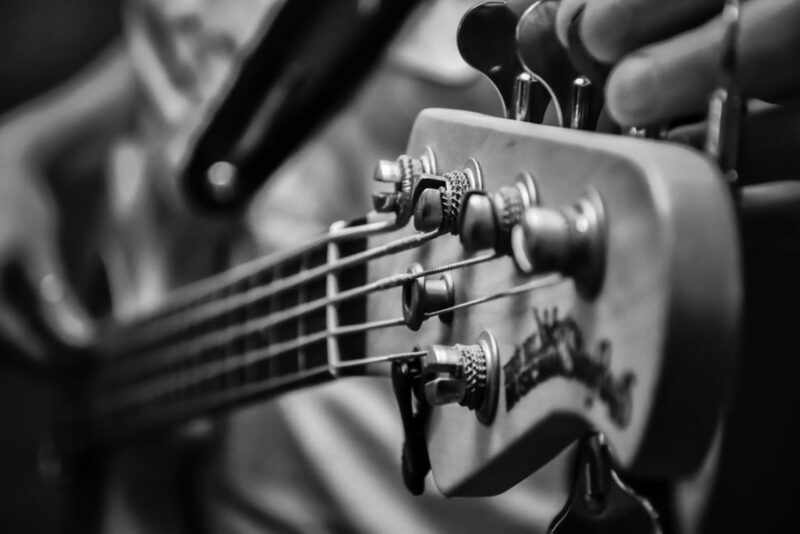 Any of these 3 tuners would make a great addition to any instrument. These are great for beginners and experts alike. Thanks for reading and good luck on your gear quest!